A RUP LIFE: Diggerfest Happening Weekends in October at Diggerland! 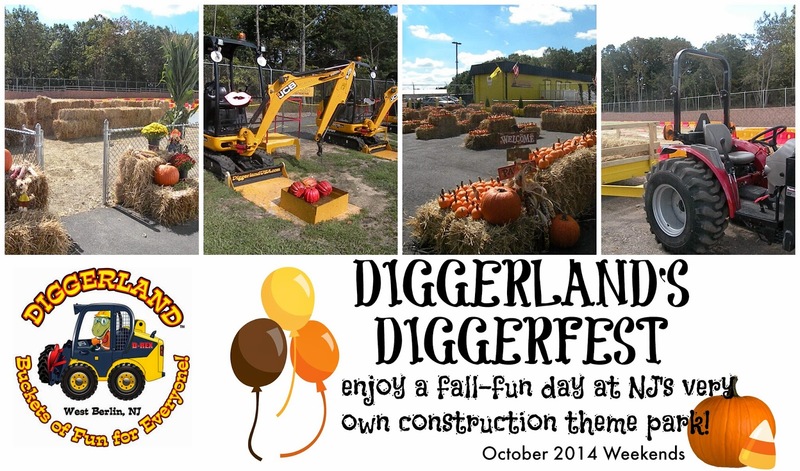 Diggerfest Happening Weekends in October at Diggerland! All of this is included with your Full-Day Admission ticket! October 18 and 19: Everyday Heroes! October 25 and 26: Construction Workers and a GRAND PRIZE for Best Construction Equipment Contest! You can find additional information and ticket purchasing on their site here. Hope to see you there!